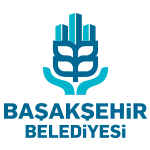 Başakşehir Municipality has acquired the vision of making Başakşehir a world-renowned brand as a “City of Applied Information Technologies and Innovation” by using the “Living Lab” concept. In order to do so, it has created a leading Living-Lab environment, in which ICT products that are being developed around the world can be experimented and used by real users in real environments. To be one of the leading cities/municipalities in the world in which new developed and IT-related products and services from all over the world are experimented. To make the people of Başakşehir inspiring examples for the other cities around the world, in terms of technology usage and creativity.